The Studio at Anythink Library is a unique learning lab site that will be graciously co-hosting the resource development retreat in August, 2017. With the RDR quickly approaching, we thought it would be an opportune time to shine a spotlight on this innovative program. 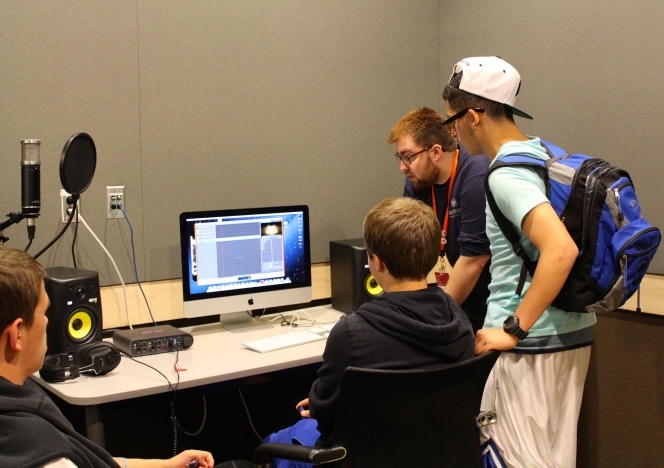 Learning Lab sites are famous for the mentorship programs that bring talented professionals to our teen patrons. Studio approaches this mentor model a little differently than some other sites we've highlighted. They work with both "Studio Hosts"; part time regular positions that are responsible for setting the space, providing passive programming, and building relationships with the patrons, and "Guest Artists"- who develop and provide the programming. The Guest artist works as an independent contractor, and is invited to teach 1 day a week for a period of 6-8 weeks. Additionally, they can opt to provide professional development opportunities to Studio and Anythink staff. The Guest Artists come with their own programming ideas and work with Studio Coordinator to flesh them out into full workshops. Mo Yang-studio coordinator- explains that the model gives Studio customers a group of diverse, rotating program that switches over regularly, and helps keep the programming fresh. Many learning lab sites are asked to collect data on their programs to inform their work (and, in many cases, help make the argument for continued funding). As part of an evaluation pilot program this past year, they are implementing daily surveys with their customers as well as daily programming surveys with their staff. 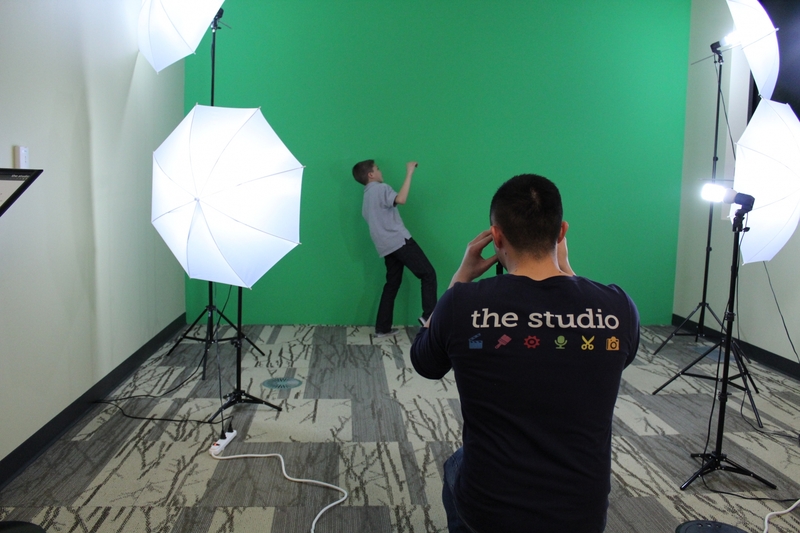 These surveys serve as brief daily reflections to gauge the work and environment of Studio at Anythink. Another way of collecting data in an interesting and engaged way, they host a "Talk-Back Board" in their space. The board sits near the entrance and and staff posts intentional questions; "Why did you come here today?" or "What did you make today?". Customers are provided stickies with quick answers so they can respond easily to the questions. The answers are collected weekly, and Studio admin collects and graphs the results for weekly reporting. If you are attending the RDR in July, please pencil in time to visit Mo and the Studio staff, and if you are looking for some interesting insight on evaluation, I'd encourage you to contact Mo Yang at Anythink Library. See you in Colorado!